Spokane was part of the nationwide protests inspired by Teresa Shook in 2017. The Washington Post has called her "the woman who started the Women's March with a Facebook post," yet nearly three years after she pressed "send" on her computer, Teresa Shook still gets asked how it happened. The short answer involves a sequence of dates and times. The longer one explores how a self-avowed apolitical grandmother living in Hawaii helped ignite a smoldering discontent that has yet to quench itself. At Gonzaga University's upcoming Women Lead Spokane conference, Shook will talk about her role in the pivotal political moment, and more. Shook was at home in Hawaii, six hours behind Washington, D.C., when the 2016 presidential election results came in. While much of the country slept, Shook ruminated on the results, which for many was a gut punch. "I want the leader to be someone who is strong and will do what they say and is inclusive and acknowledging diversity, and [says], 'Yes, we have issues with immigration but we can solve them,' and does it without bullying people, or lying or having divisive rhetoric," says Shook, who adds that, for her, character trumps party affiliation. Since a friend had signed her up for Pantsuit Nation, a Facebook page created to rally Hillary Clinton supporters, Shook went there to find like-minded people. And she wrote what was in her heart: "We have to march." Shook conversed and commiserated, receiving some pushback. "Finally one woman said, 'I'm in,'" says Shook, "and then I went and created an event and then it was that event that went viral." National Mall photographs and other data suggest that around 470,000 people participated in the Jan. 21, 2017, Women's March on Washington, as it has come to be known, the largest protest since the Vietnam War. Millions more Americans marched in cities and towns nationwide that day. 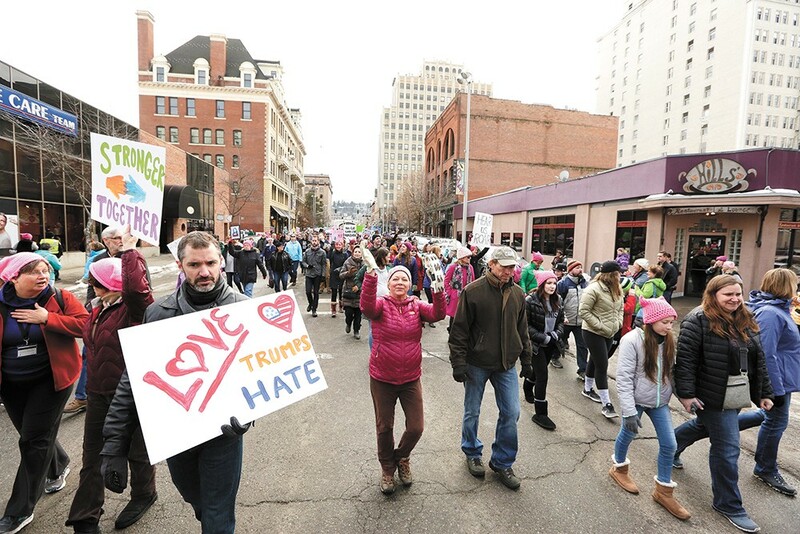 Shook is no longer affiliated with the ongoing national entity, Women's March, Inc., that came out of that initial march, yet is both supportive of and in awe of local efforts. "I'm supported as sort of the mother of the movement except by that [Women's March,] Inc.," says Shook, who on Nov. 19, 2018, called on the group's four co-chairs to step down because of what she describes as anti-Semitic, anti-LBGTQIA and racist rhetoric. Things got ugly as the foursome — Bob Bland, Carmen Perez-Jordan, Linda Sarsour, Tamika D. Mallory — fired back, especially through social media. Looking back, she says, the conflict may have been unavoidable. "We were grassroots ... trying to pull off the impossible in two-and-a-half months," she says. "So no one's digging in too deep about anything. And honestly there was no consensus about who's being appointed. Those four co-chairs appointed themselves." Shook has moved on from Women's March, Inc., one of many examples from her life in which she's turned negative experiences around. Growing up in Greenfield, Indiana, under challenging circumstances — a hypercritical mother, a father who had difficulty controlling his temper — Shook found role models in teachers, who recognized her abilities and encouraged her to pursue college. Shook cleaned houses and worked as a secretary to make ends meet as a single mother while attending college. After earning her law degree, she set up practice in Indianapolis, determined to be of service to others. "My community [growing up] had a moral compass," she says, "and that taught me how to live my life and help others." After the unexpected death of her younger sister, Shook moved to Santa Cruz, California, practicing law and experiencing a new set of social justice issues. She volunteered with the homeless, assisted migrant farm workers and youth impacted by violence and drafted an ordinance to create self-help legal centers for underserved populations. "I have been really shaped by all my life experiences, including the bad stuff, and it's made me strong and tough and not back down from the challenges," Shook says. One of those challenges included a rare eye disease, which necessitated her retirement from practicing law. 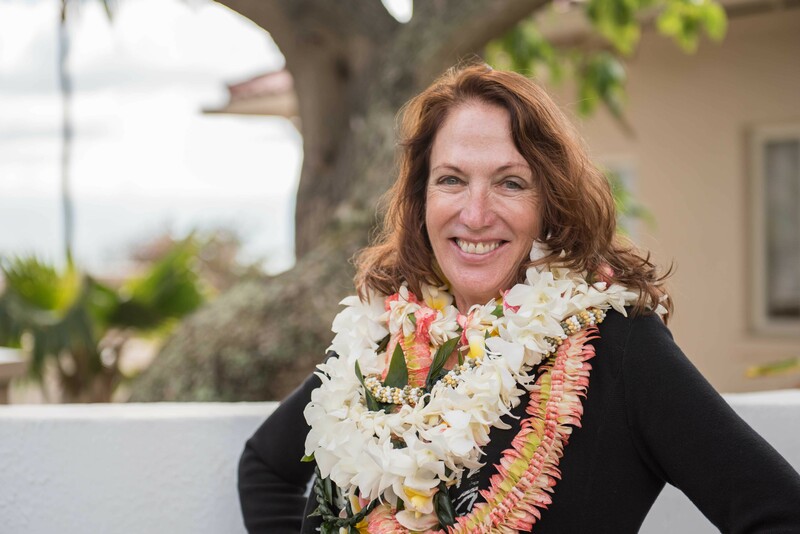 When medical advancements restored some of her vision, Shook chose instead to focus on education and has taught in many countries: Guatemala, Bali, China, Saipan, Gabon. "I think I have a very global perspective," Shook says. Shook's perspective has also been shaped by family — she is grandmother to four girls — and the opportunity to engage with younger generations. "I think one of the most exciting things [that] has come about in the last two years is for me to be a mentor and be involved with youth." Although she laid low during the 2019 Women's March anniversary, Shook, who was reeling from a death in the family at the time, says she is appreciative of other people's efforts to stay informed, engaged and advocating for improvement in whatever capacity they can. "I hope [people] realize that they can do anything they want and that they can be of service in small ways." The original print version of this article was headlined "Taking The Lead"